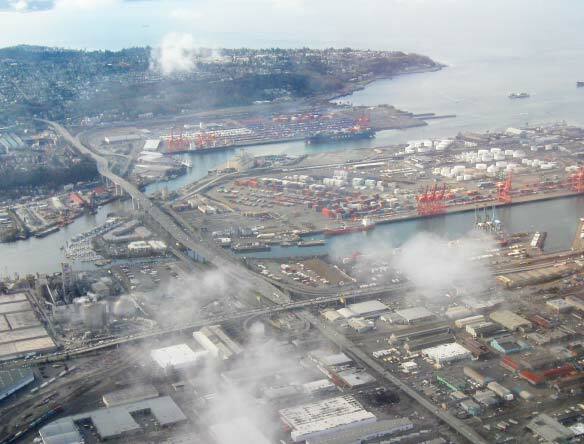 SODO, the area has been a mishmash ever since someone got the idea of filling in those tidal lands: rail yards and sawmills, meat packers and metal shops, a seaport, warehouses, a huge Hooverville during the Depression, the first Costco store, a giant Sears store and distribution center that later became Starbucks’ headquarters, and sports stadiums. Change has been a given. 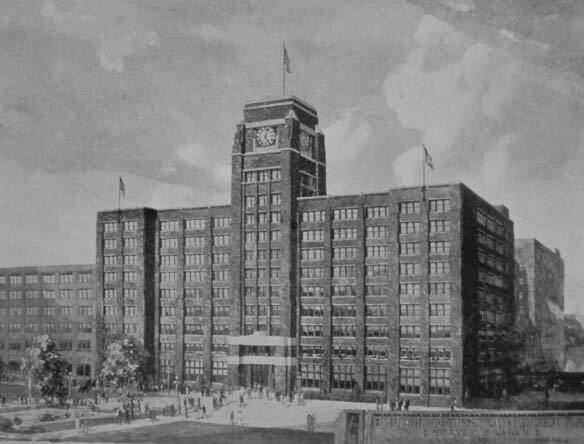 The sawmills and shipyards gave way to warehouses for the port, which were done in by containerized cargo. Home improvement wholesale and retail outlets moved in. The one unwavering characteristic of the district has been the presence of eclectic, unlikely, and marvelous conglomerations of entrepreneurial spirit and their contradictions. Today SODO is a vibrant and diverse business district with a strong industrial presence intermixed with retail, office and service businesses. SODO is also home to a burgeoning entertainment and nightlife scene, with bars, restaurants, clubs and event spaces opening up across the district. 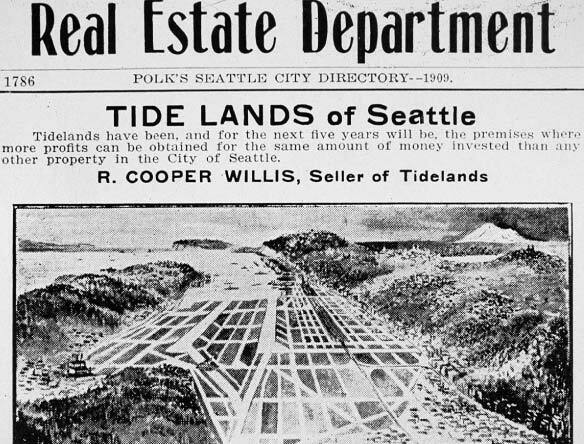 Ever since Seattle’s infancy the tidelands immediately south of the City have been focused on industry. 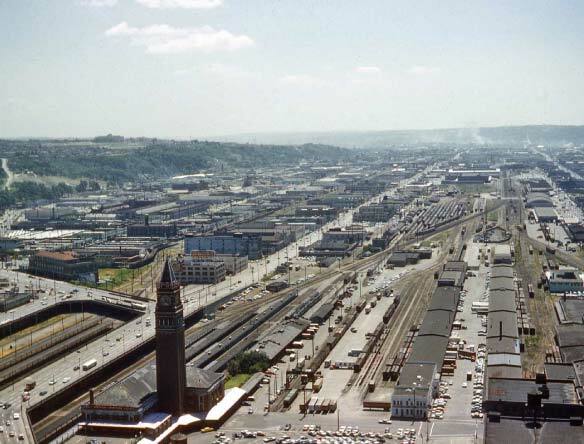 SoDo’s earliest configuration consisted of buildings and train tracks elevated over the water. Pressure from a period of rapid growth in the City results in increased demand for flat workable space close to downtown. 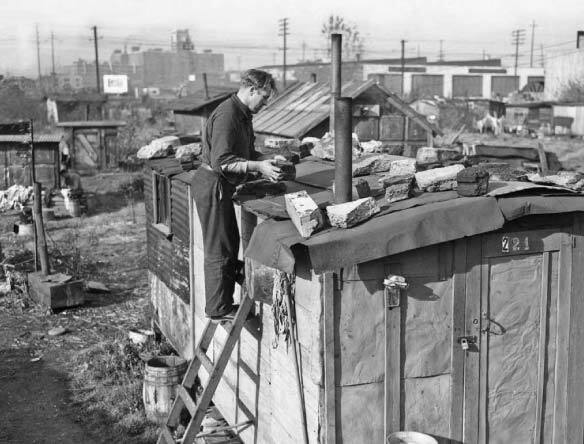 Unemployed workers build shacks on nine acres of vacant land located a few blocks south of Pioneer Square in Seattle. They call the shantytown Hooverville, in ironic homage to President Herbert Hoover (1874-1964), on whose beat the Great Depression began. 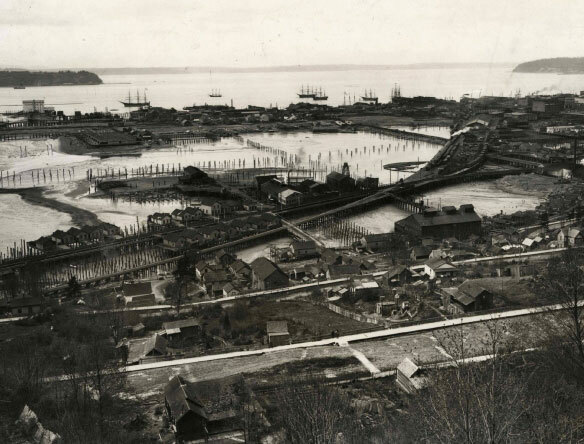 Seattle’s Hooverville remained in existence for the years of the Depression. 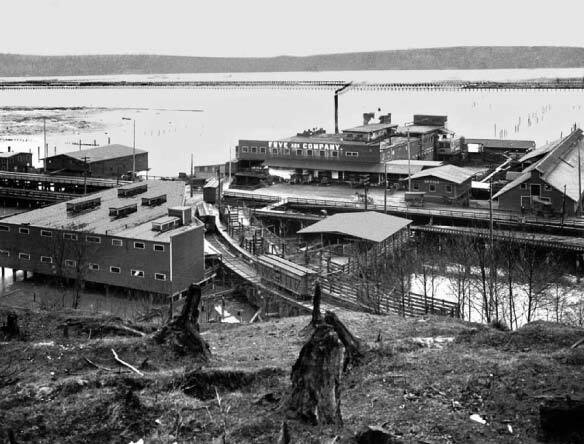 It was one of several such communities of shacks and shanties that homeless people built in King County during the 1930s. 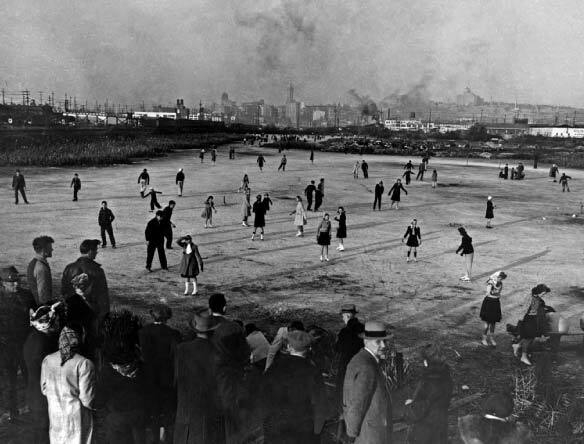 Throughout the great depression Hooverville remained occupied and even burnt down in 1941 only to be rebuilt. The Tidelands Area begins to fulfill its promise of becoming attractive land for commercial business ventures with the opening of a major retailer in Sears. 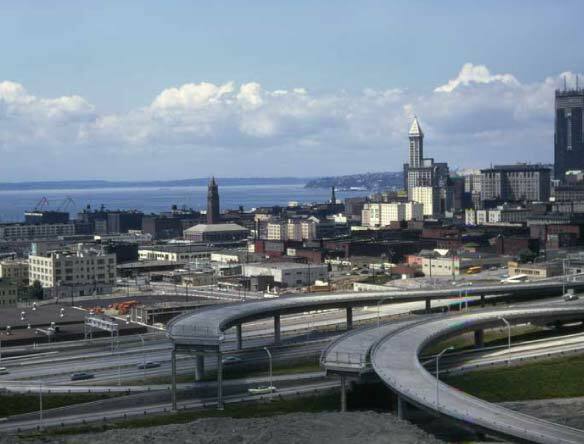 The landscape of the District is changed yet again with the addition of the Interstate system and I-5. 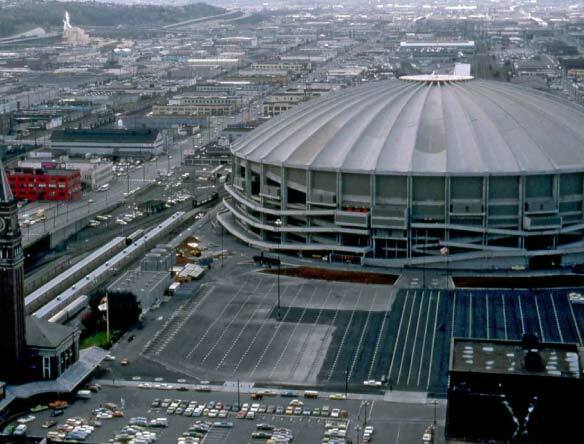 The configuration of SoDo that we know today begins to develop and the area sees the addition of its first major sporting venue in the King Dome. 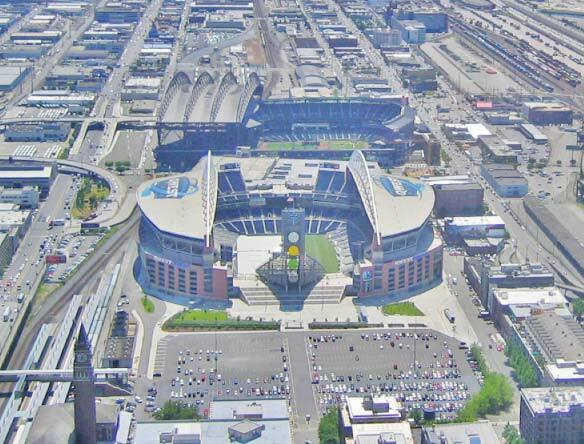 The area cements itself as an eclectic District located at the intersection between a premier manufacturing and industrial area, Downtown Seattle’s financial sector, the port of Seattle and major sports venues.